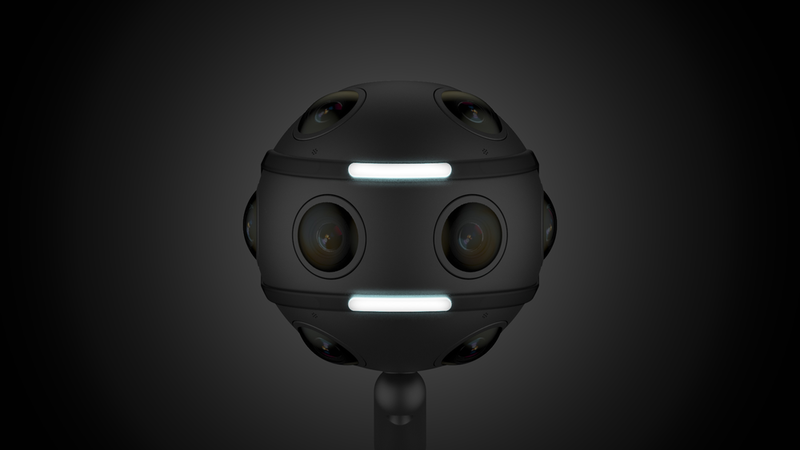 The field of view of 360 capture makes lighting difficult. How do you setup lights in a scene without getting them in frame?The OZO Onboard light fixes this problem by situating a set of high powered LED's out of the field of view of the lenses. Using LED lensing to guard against flare, the light can be adjusted in both brightness and temperature. It is the ideal tool for 360 lighting especially in documentary productions or productions that cannot afford vast amounts of practical lighting. Additional 1-3 stops of light for shooting near subjects. Consistent power voltage with OZO allowing for common power source.